As can be seen from the adjacent chart, MCX lead tumbled from the daily upper Bollinger Band till the lower Bollinger Band. The band induced bulls to go for a fresh round of buying. As a result, the base metal couldn’t breach the previous low of Rs121.30. The daily momentum indicator has given a buy signal. The pul back is breaking into waves of lower degrees. 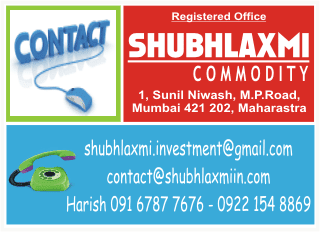 As long as the recent low of Rs122.25 holds, the bullish potential of the commodity shall remain intact. The key levels on the upside will be the 61.8% retracement mark, ie Rs128.40, and the medium-term falling trend line, ie Rs130.50.